Changing your life is easier than you think. With so much on your plate, there can be very little time to relax and take a breath. In fact, it may even seem counter-intuitive to stop what you’re doing, learn how to find yourself, connect to your inner voice and figure out who you are. I mean, what would that do? If it sounds kind of woo-woo to you, you’re right — it does. But what you will learn is that the happiness and self-confidence you’ll feel when you discover what truly makes you tick is well worth it. Some soul-searching is involved, sure, but it can be quicker and less painful than you think. Especially, if you feel like you should be further along in the process of finding yourself or shouldn’t have done that thing in your past that still bugs you. As you can imagine, everyone has things they’d rather not have done, and those experiences taint how we move forward. They can scare us out of taking a deeper look at ourselves to find out who we are, but that is so important to your future. First, know that if you learned a lesson from it, you don’t have to repeat it. Remember, we all have psychological needs we need to get met daily. What we say and do are always an attempt to get that done. So, there are no wrong answers to the questions I’ll ask you. Just detrimental ways of getting your needs met and the awareness that next time you can make a different choice. We are so skilled at beating ourselves up that it can be scary for someone to say, “Hey, you just need to know who you are and then things will be better.” Yikes! Who knows what you might find in the depths of your heart and mind. What do you do regularly that you absolutely love? Do you ever feel guilty or selfish about it? If so, is it because it’s a negative thing to do or because you don’t feel like you’ve done enough to earn the right to feel that good? What do you say “yes” to out of habit that drags you down? Is it hard to say “no” because you want people to like you or because deep down, you think others are better than you and you need to be of service to them? Taking time to identify reasons for your actions gives you tremendous insight and allows you to determine who you’ve been and decide who you want to become. 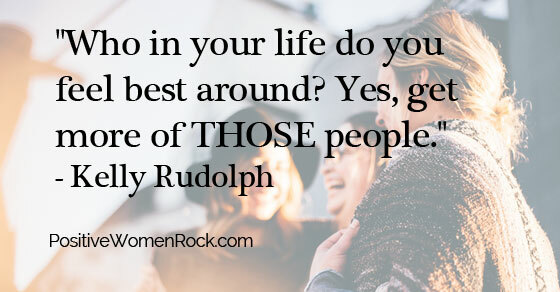 Who are you around when you feel the best about yourself? Is it because they are encouraging, and respectful of you? Do they believe in you even when you don’t? What are the emotions you feel around them? Be on the lookout for more people like them to add to your life. There’s a reason you want to pull up emotions. If you find you are feeling good around someone because of selfish or insecure reasons, you won’t truly feel good emotions when you take this deeper look. So, if there’s a creepy feeling, that just means you need a bit more confidence and self-love. And those come with opening up to yourself. What lights your soul on fire and empowers you? Also think about what dampens your dreams or hides them in the closet. By honestly answering these few questions, you are learning more about yourself than many people will ever know about themselves. It’s a big deal! Knowing what makes you feel strong and weak is vital in getting to know yourself. You need to know what you want more of in your life and what you want less of. Otherwise, your life will create itself by default based on what you worry about because that’s what you’re focusing on. Remember that you may be uncomfortable in a situation and your intuition tells you to stay put. Unless it compromises your morals, boundaries or safety, it’s purpose may be personal growth. You comfort zone expands and your confidence builds the more you trust your intuition. Other times, you will get a clear signal to leave the situation and that too needs to be trusted and followed. Once you focus on how you feel (more than what you think) around people in your life and in daily situations, you will get a good idea of who you are. Knowing your gifts, talents, dreams, likes, dislikes, needs, standards, boundaries, etc., puts you in the drivers’ seat of your happiness and self-confidence! You choose emotionally healthy friends. Yes, you choose your friends and in addition to being picky, the people who like to use others aren’t attracted to you anymore because your energy doesn’t match up anymore. You enjoy your solo time. In the past, you may have needed alone time to decompress but now you love hanging out with yourself because you are fun and feel good. And being nurtured helps you feel more empowered and loving toward others. You sleep soundly at night. Most of the stress and anxiety you feel boils down to uncertainty. When you feel confident in who you are at your core, you know things will always work out, that you can handle whatever happens, and you expect the best. You know what works for you and what doesn’t. You’ve felt the freedom of being happy all by yourself. And you’re not letting anyone who doesn’t measure up to your standards into your life to drag you down. You succeed in your career more easily. You are one of the few people clear on what they bring to the table as a person, not just at work. Because of that, you ask for what you want and you get it or move on because you are fair, compassionate, and confident you’re on the right path. Even when you see the need to peel off onto a different path. Physical ailments manifest from negative emotions, and when your beliefs and values don’t match the life you’re living. Or when your spiritual connection is broken. You are clear on who you are, who has your back, and where you’re headed and that manifests in being healthy and feeling good. You can see how powerful knowing who you are is. The benefits are life-changing. You can be the hero in your own life and the kudos from others are an extra bonus! 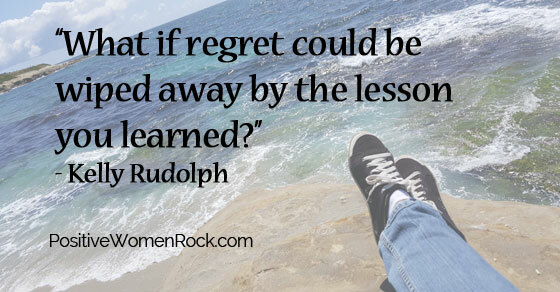 Kelly Rudolph, founder of PosititveWomenRock, takes women from stuck and stressed to clear and confident by quickly releasing emotional baggage from the past. Connect with her and get her Free Life Strategies now.